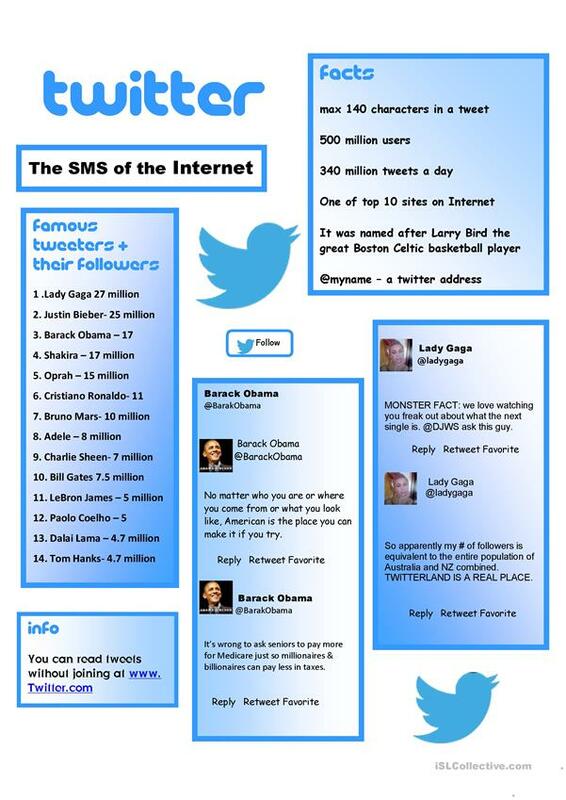 Info and facts about Twitter along with a few samples from the accounts of Barack Obama and Lady Gaga. Students could "follow" a favorite person- record their tweets- and then write some sample replies or tweets of their own. The above downloadable printable is meant for high school students, elementary school students and adults at Pre-intermediate (A2), Intermediate (B1) and Upper-intermediate (B2) level. It is a valuable material for enhancing your learners' Reading skills. It is focused on the theme of Computers & Technology.